Kyla Renee is a digital artist who creates exquisitely painted portraits from photographic images using highly refined digital painting techniques. 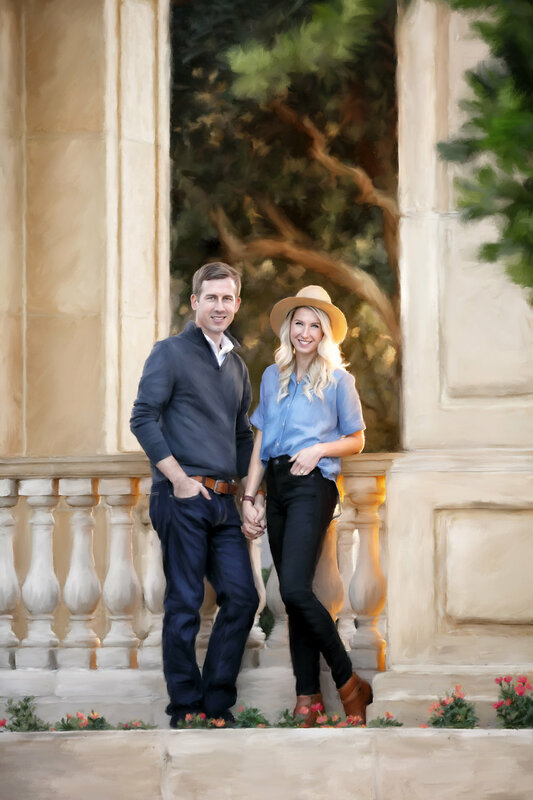 She is the daughter of, and was trained by, world renowned artist Gregory Daniel and paints in her studio tucked away in a tiny coastal town of Florida. She is commissioned by photographers around the world to create stunning timeless artistry for their clients homes. After acquiring 2 collegiate diplomas and foraging her way through the food industry as a pastry chef, creating gorgeous wedding cakes for brides and grooms around Central Florida, she realized that, for lack of better words, the gluten was killing her softly. Without the ability to taste the gorgeous confections before sending them on their way to their respective celebrations of nuptial bliss, it was time to find a way to express the art that she adored through a medium that adored her back. Fathers know best... or so they say. Gregory knew she would have a soft spot for a photograph and a paintbrush, and with a little nudge she deep dove into the world of digital artistry and never looked back! Send an e-mail to kyla@kylareneepaintings.com to spark up a conversation! Chatting is our favorite!